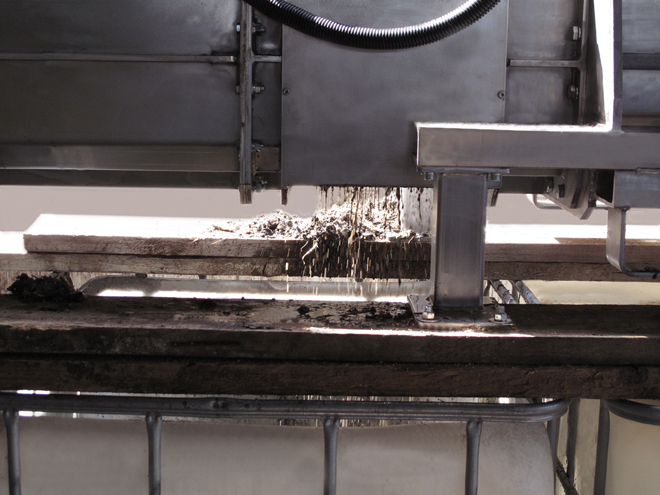 Drained material is easier to process or recycle. 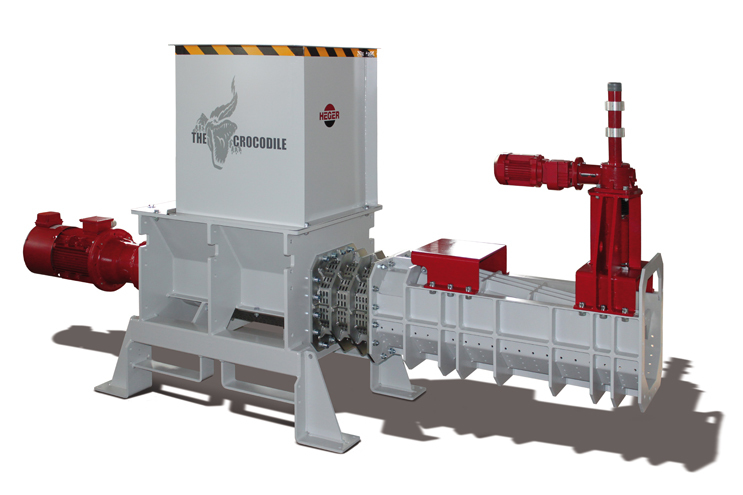 THE CROCODILE range of Heger drainage systems are used for solid/liquid separation and the removal of residual liquids from waste products. 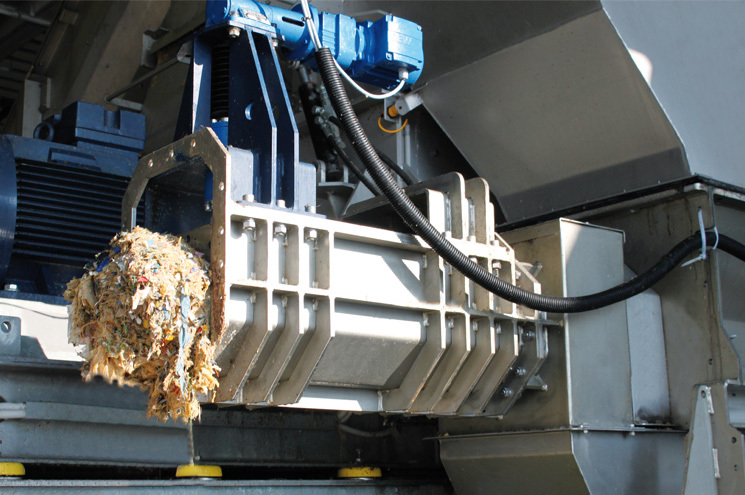 THE CROCODILE drains out free-flowing contents from plastic cups, Tetra Pak® packaging, cans or PET bottles, drains sewage sludge and industrial was- te and assumes drainage tasks in industrial plastic processing. The reduction in weight as a result of draining enables considerable cost savings in dispo- sing of materials at landfill sites. 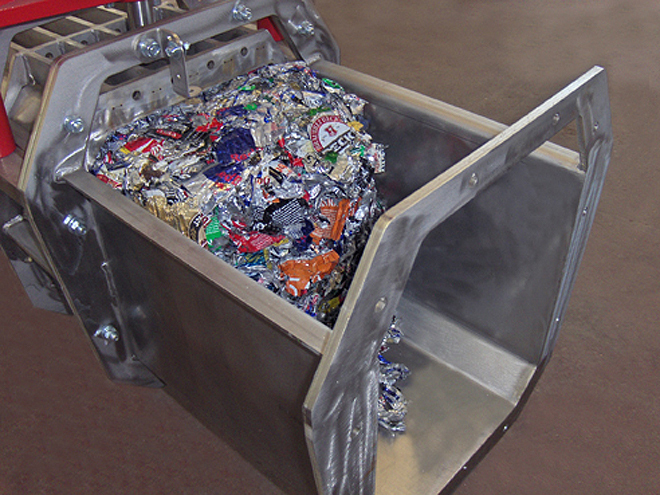 The drained material can often be disposed of in incinerators. THE CROCODILE – Strong with a wide range of uses. 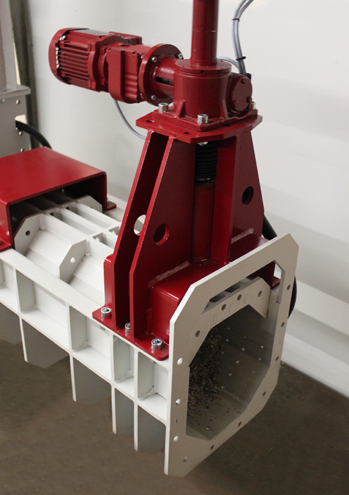 The modular machine concept enables optimal adaptation to the most diverse drainage tasks. High service life of the pressing screw by application-specific front screw segment hard-facing. 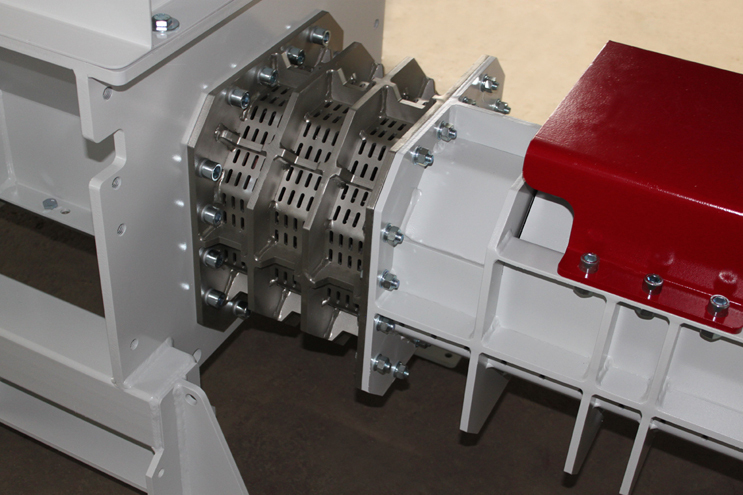 The horizontally set screw positioned on the side compresses the solid matter contained in the material fed in the compaction channel. 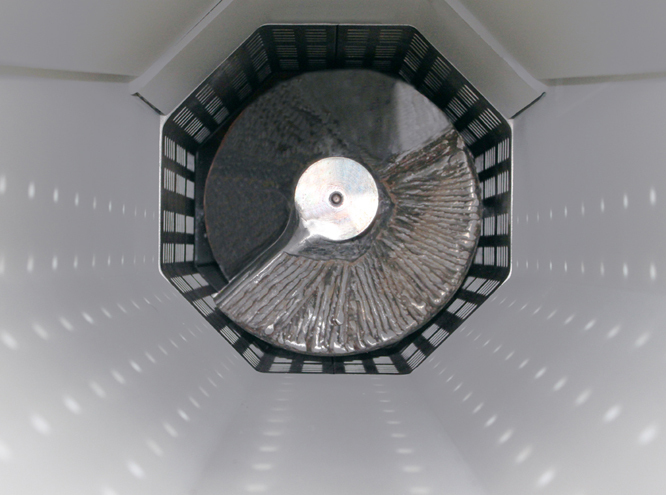 In the process, free-flowing materials are separated from the solids content by a perforated screen cylinder. A robust drive engineering ensures optimal machine performance. 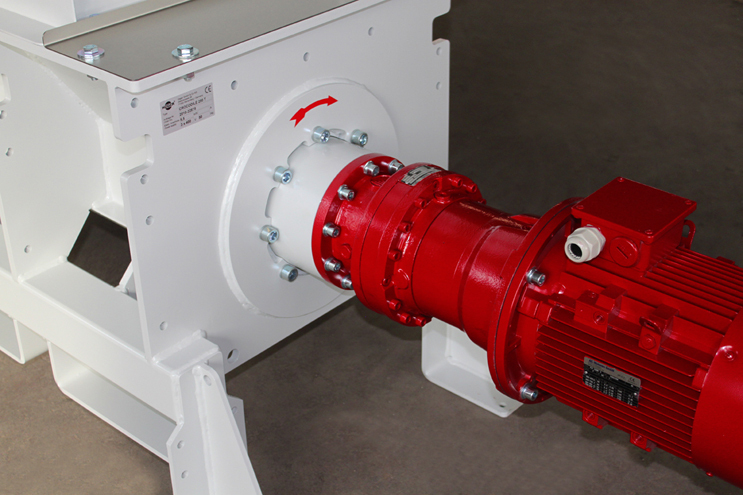 Fully automatic pressure regulation with lifting spindle driven by electric motor. The drainage channel made of stainless steel is available in various hole sizes and installation lengths. The squeezed-out liquid discharges from the lower side of the drainage pipe and can be collected in a trough and pumped off. 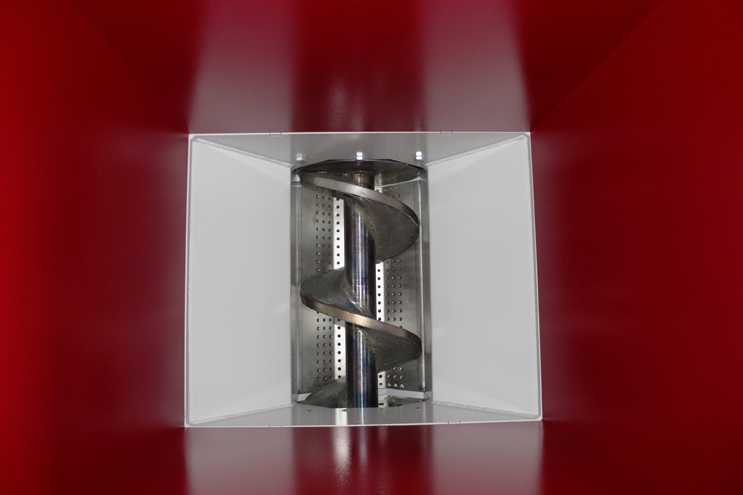 The compressed and drained solids content is ejected from the channel end of the machine. THE CROCODILE 250 T 100% stainless steel system at work: Squeezing out of liquid biomass from crushed food packaging The drained solids content is energetically utilised in incinerator plants.